After reading the story about “fake gold” being sold to gold shops in Phuket (see story here), I was left stumped as to how could a gold shop not know the quality of gold they are buying? And if they don’t know what quality of gold they are buying from people who walk in off the street, how can they assure the quality of gold of the items these shops sell to the public? Surely these shops just resell the necklaces and bracelets they buy from people to other people who walk into theirs shops. So how can I be sure of the quality of gold I am buying from these shops? Any gold shops that are members of the Gold Traders Association are supposed to issue a certificate of authenticity with every item sold. If the shop you want to buy a certain piece jewellery from does not offer – or worse, refuses to issue – a certificate of authenticity for the item you want to purchase, I wouldn’t trust them. If you are given a certificate of authenticity and later realizes that the gold is “fake” or not of the quality as claimed in the certificate, you can use the certificate to press charges of fraud against the shop. That said, nearly every single item sold by gold stores are 100% genuine. 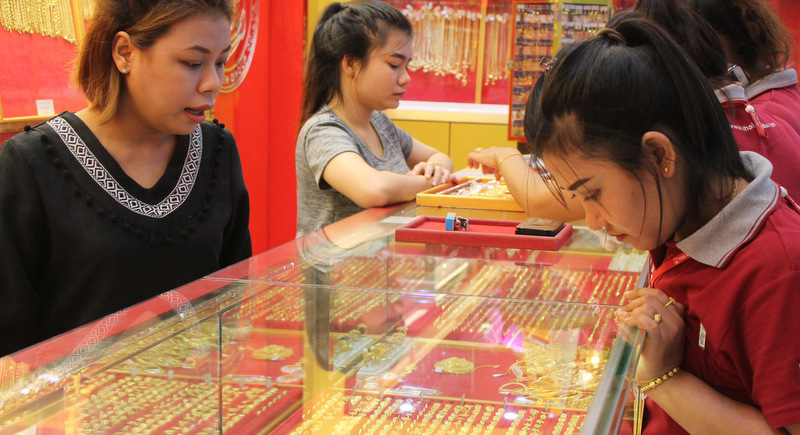 This is because most stores buy gold only from other large and reliable stores and makers, for example we purchase our gold only from other trusted stores on Yaowarat Rd in Phuket Town. All gold jewellery is traditionally stamped with a number indicating the quality of the gold content, but this is no real indication of the real gold content. Cheats will also use these numbers/stamps to deceive buyers. In fact, overall appearance is not a good way of judging the gold content of any item. Even fake gold usually feels and looks like real gold. The most reliable method to check the gold is by scraping the jewellery on a whetstone. Gold shops will have these specialized whetstones and should do it in front of you. It is not the same kind of whetstone as used to sharpen knives. The best way to tell if a gold shop is trustworthy is if it has been around for a long time, and if it is a member of the Gold Traders Association. If the shop is a member, there should be a sticker at the front of the shop indicating so.